Dub-Hop, or the combination of Dubstep and Hip-Hop, is the newly craved electronic dance rhythm. The raw and rugged rap fiends merging with the underground 2012 “dark-garage” movement? As unimaginable as that may seem it is indeed true. Dubstep (n.) – is a genre of electronic dance music that originated in South London, United Kingdom. Its overall sound has been described as: tightly coiled productions with overwhelming bass lines and reverberant drum patterns, clipped samples, and occasional vocals. Let’s be ho nest, rap has always been able to morph and hug the curves associated with all genres. Why? Because it’s embedded into a living, breathing culture. Run DMC and Steven Tyler broke down a wall (literally) in “Walk This Way,” visually combining rap and rock and roll, Nelly and Tim McGraw shook hands for a radio hit, “Over And Over,” and of course Nicki Minaj and Britney Spears shared stages all over (and probably lip gloss) for Spear’s Femme Fatal tour. 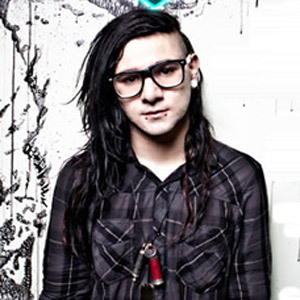 Above: Grammy nominated producer Skrillex spawned remixes by hip hop DJ advocates such as, “Cash Money Monsters” below. So why now? The ever-so-practiced electronic sonically absorbed in staccato raps in a cadenced fashion is finally received by fans alike. I think it was in high school, 10th grade, when my Mexican homie saw my dead prez album Let’s Get Free and he had it too. He really loved that album. And then my Filipino friend put me on to a lot of underground groups from Cali like Souls of Mischief and Living Legends. We all connected through our love for hip-hop. Rap music derived from self-involved youth; however, the culture survives upon altruist ways.